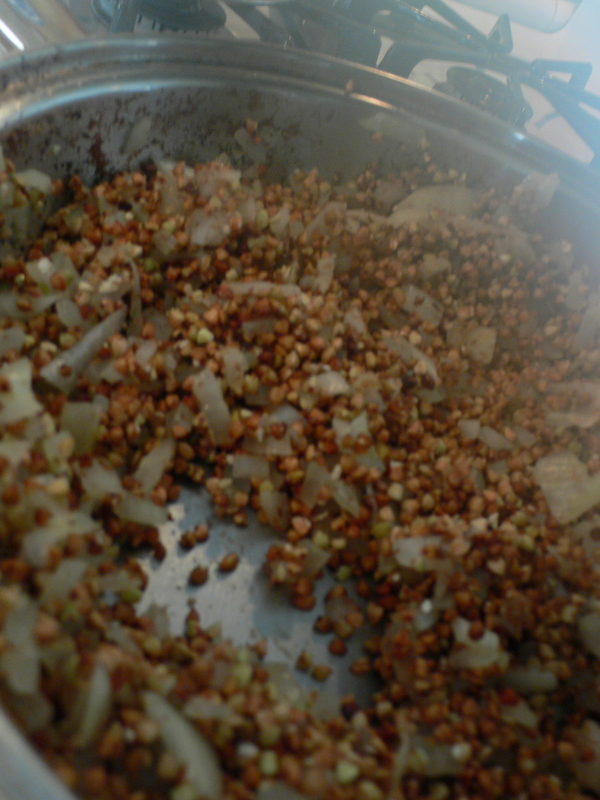 not to be confused with the cereal Kashi, are toasted buckwheat groats. They have a light texture, cook quickly and have a very nutty flavor. They are also high in fiber and gluten free. I heart Kasha. Usually it’s a breakfast option in my house, but as I get ready for the next week (school again), I wanted to do something different. 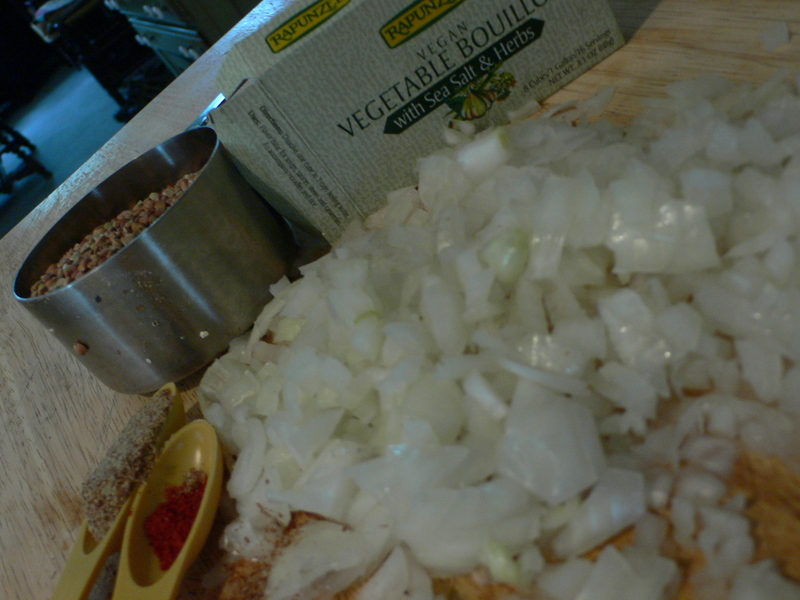 Thankfully, I turned to a favorite recipe book: Vegan Fusion World Cuisine for a little inspiration. I pretty much took this recipe right out of the book, minus the bowtie pasta, which I don’t eat. Had a bit for dinner- wonderful, especially with the fresh parsley I sprinkled in after it cooked. 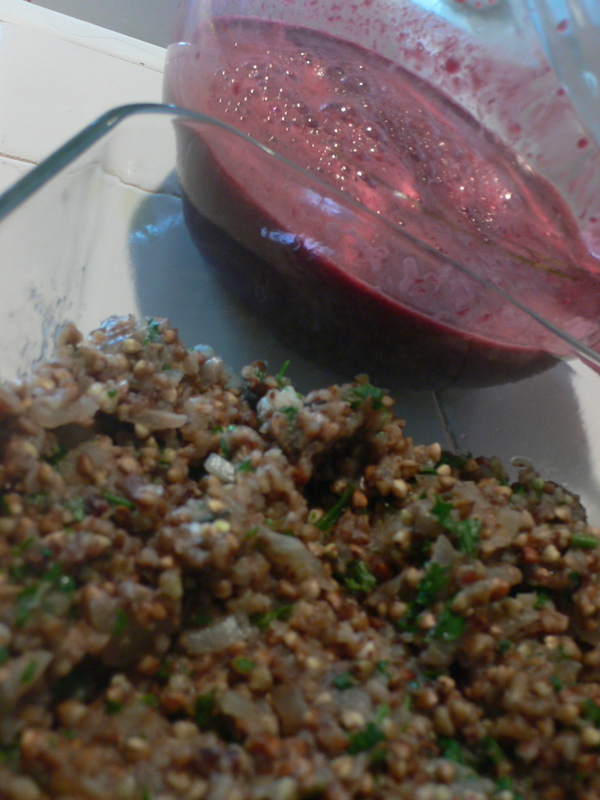 You could probably replace quinoa in this recipe, or rice if you added 1/2 cup more water and cooked it longer. 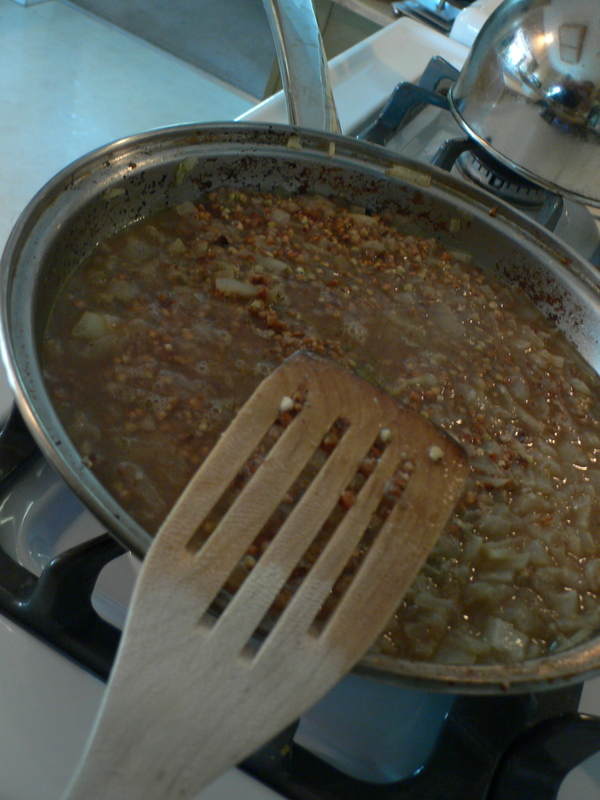 In a large skillet, heat oil and sautee onions/salt/garlic for 3 min. Add kasha and stir regularly for 2-3 minutes. Add cayenne and regular pepper. Keep cooking for 2 minutes. Remove from heat and mix in chopped parsley. Eat warm or cold. Juicing…in the meantime, get out your juicer (I know you have one!!!). Juice 1.5 cucumbers, 3 meyer lemons, 3 beets, and 1 tangerine. Delicious. I used the juice later to make some pulp muffins, as usual. They turned out a hot pink color, which inspires me to use them in making Easter cookies later this week.